One of my patchwork projects. 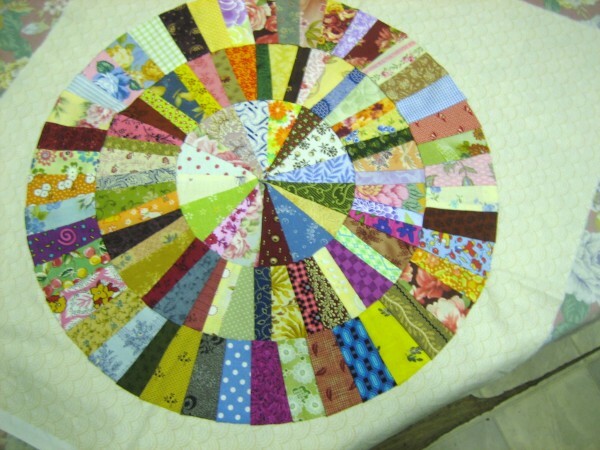 The circle was hand sewn using paper piecing, each row divided into four arcs. No two pieces were from the same patchwork fabric. Once completed and sewn together, I needle turn appliqued the circle to the background fabric. Now I just have to decide what to do with it. Not sure if I want to make a quilt including it as the centre block, make more of this block or just make a cushion cover.